The medical professionals at Hospital CIMA have extensive, proven experience in a wide variety of specialities. Do not hesitate to contact us with any queries you may have. Diagnosis of diseases, mainly complex and that could affect one or various organs. Care for hospitalised patients, playing an essential role in the global vision of the patient, taking into ac all possible diseases in order to offer a complete solution to their problems. Continuous care in outpatient consultations. Collaboration with the rest of the professionals or other services, such as the consultant and coordinator of the fundamental disease. The internists in our service have in-depth knowledge of various areas in order to keep d with advances in diagnosing diseases and in therapies, such as infection, autoimmune diseases, arteriosclerosis, and thrombosis, which have resulted in the creation of different units. The Internal Medicine Unit heads the Autoimmune Diseases Unit, which treats systematic autoimmune diseases that comprise a group of diseases caused by dys of the autoimmune system. They could affect most organs and systems in the organism simultaneously or successively. The target public are patients with autoimmune markers in blood tests or patients with specific organ or multiple organ, or systemic diseases. The unit performs a clinical analysis and complementary examinations (capillaroscopy, temporal artery biopsy, salivary gland biopsy and muscle biopsy). It supports the rest of the hospital services that may have patients affected by these diseases. 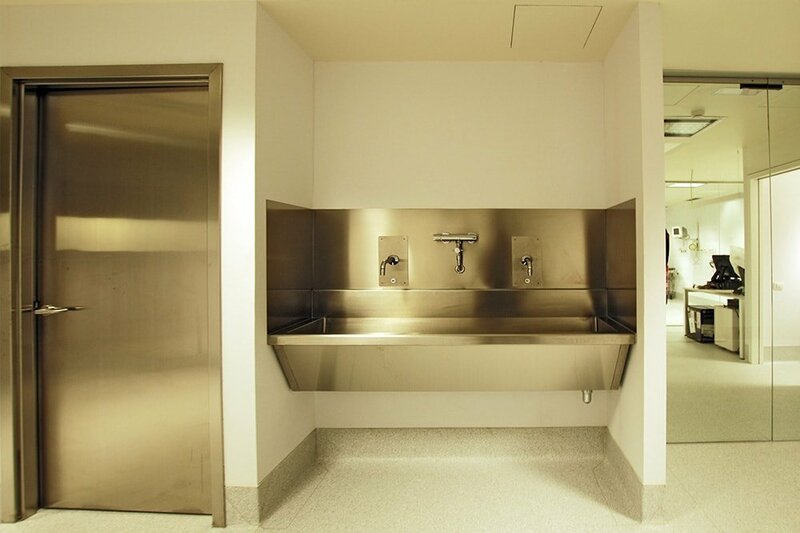 This unit is also fully-equipped to treat patients with rare diseases. 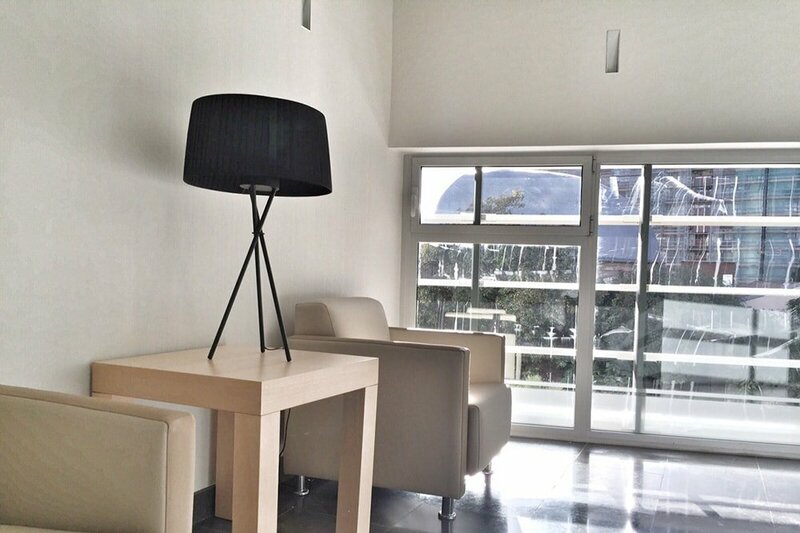 The Cosmetic Surgery and Medicine Unit at Hospital CIMA has a team of multi-disciplinary specialists and the most advanced surgical techniques to obtain the most natural results. 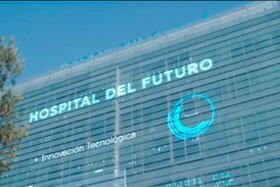 Each patient receives completely personalised treatment and direct contact with their doctor from the first visit, which is completely free and in which they will be told about the solutions to each problem. The combination of up-to-date experience, technology and surgical practice make the medical team a benchmark in effectiveness and quality, achieving the best results. Breast Enlargement: When the breasts are too small or they have lost their shape due to pregnancy or changes in weight, we provide the solution via top class, round or anatomical implants, or with fat transfer in specific cases. Breast Reduction: Large breasts can cause women to have both physical and psychological problems. This surgery removes part of the glandular tissue and fat, achieving a more well-proportioned breast. Gynecomastia Surgery (mammary reduction in men): Gynecomastia surgery allows men to reduce the size of a more developed chest and with the shape of a woman’s, whether the anomaly has been present since puberty or is a result of anabolic steroid use. Otoplasty: Surgery to reposition protruding ears to a more harmonious position, that is, closer to the head. Blepharoplasty (eyelid surgery): Eyelid surgery is a procedure to remove excess skin from the upper eyelids and excess fat or “bags” from the lower eyelids, thereby rejuvenating the eyes. Botulinum Toxin: This toxin softens wrinkles on the forehead, between the eyebrows and crow’s feet, achieving the effects of a facelift without undergoing surgery. Facial Mesotherapy with vitamins: Beat ageing of the skin with a cocktail of vitamins and hyaluronic acid, obtaining younger and tighter skin. Hospital CIMA has a complete team of specialists in obstetrics and gynaecology, anaesthesia, paediatrics and mother & baby nursing care who will take care of both of you before, during and after delivery. The latest technology applied to health and the best services for greater care and comfort. It reduces the risk of interventions such as the use of oxytocin, epidural, delivery instruments, etc. A study of primiparaes observed that only 24% of women who had used water during delivery requested epidural analgesia, as 50% of those who had not used water requested epidural analgesia. In which cases is it recommended? The risk will be assessed before and during delivery. If the pregnancy and delivery are classified low risk, water birth is a safe option, just like any other type of delivery. In general, delivery follows the usual course and without complication, particularly when it is free of interventions. However, the mother and baby are monitored to guarantee their wellbeing and if an anomaly is detected, the mother is asked to leave the pool in order to continue with delivery outside the pool. Cardiology is the speciality that is the basic axis of comprehensive care for patients with cardiovascular disease at Hospital CIMA. It does its work by coordinating with interventional cardiology, paediatric cardiology, all of the hospital services, heart surgery, and the Milenium Medical Centres. Outpatient consultation: this is the basis of patient care. It is managed by cardiology specialists who make daily in-person visits, video consultations, pre-operative examinations, electrocardiograms, and other complementary tests. You can make an appointment at the hospital by phone or online. Cardiovascular risk control unit: in coordination with the internal medicine, neurology, endocrinology, nursing, nutrition, and rehabilitation units, this unit deals with primary and secondary prevention of cardiovascular diseases. Rapid diagnostic unit: in collaboration with the emergency services, it offers complementary appointments and tests in cases that preferential attention. Cardiovascular imaging unit: comprises the colour Doppler echocardiogram and all of its variants (transthoracic, transoesophageal, with contrast agent, stress and strength). Multidetector computerised tomography (heart CT scan) that allows coronary artery calcium to be quantified and the non-invasive coronary catheterization, in collaboration with the radiology service, and the heart Nuclear Magnetic Resonance in implementation phase. 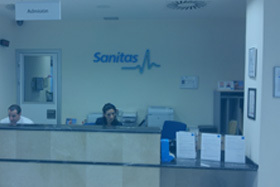 Heart Failure Unit: for monitoring chronic patients, with open personalised and phone assistance, administration of intravenous drugs in the outpatient hospital and short treatments. Test office: basic ergometric stress testing, 24-hour outpatient monitoring of arterial pressure and of the different versions of the electrocardiogram. Pharmacologic strength and stress echocardiogram in implementation phase and 7-day Holter study. The development of digital technology and new applications are simplifying these tests, make them more accessible to patients in a friendly environment. 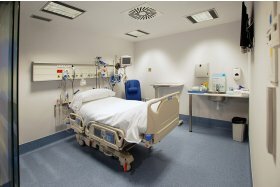 Hospitalisation-ICU-Emergencies: this is the pillar of care for the hospitalised patient. The clinical cardiology service assists its own patients and coordinates with all hospital services and in particular with interventional cardiology, supporting emergencies and the intensive care unit. 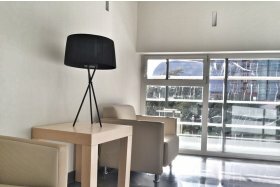 Heart rehabilitation: It combines supervised gradual exercise with EDG and vital sign monitoring, medical education, and psychological support, all in coordination with the Milenium Medical Centres. Arthroscopic Surgery and Joint Preservation. This is apt for patients with morbid obesity and it is the only treatment that offers effective reduction of excess weight with good long-term results. 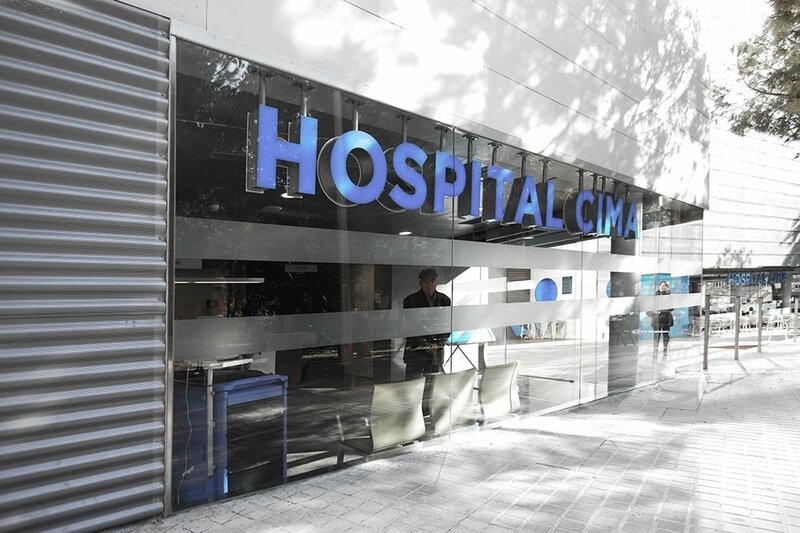 Hospital CIMA has the most effective procedures for you to recover your health and quality of life. Bariatric Surgery is a series of surgical procedures that seek to modify the anatomy, and metabolism of the digestive tract in order to reduce excess weight, improving the quality of life of the patient with morbid obesity. This procedure improves and even makes obesity-related conditions disappear, such as diabetes mellitus, high blood pressure, etc. There are currently two major techniques, bypass and sleeve. Gastric Sleeve: This is the laparoscopic vertical sleeve gastrectomy procedure. It comprises reducing the volume of the stomach, making it tube or sleeve-like in order to improve the feeling of fullness after eating and lose weight. It is one of the procedures known as restrictive procedures. Gastric Bypass: This is a procedure known as mixed procedure with a restrictive component (reduces the gastric volume) and a malabsorptive component (so that not all the nutrients are absorbed). It is performed via laparoscopy and it is more effective than the gastric sleeve in terms of weight loss and improvement of associated conditions. We control the quality of your sight by treating vision loss (cataracts, presbyopia, myopia, astigmatism, keratoconus, etc. ), eye diseases (glaucoma, diabetic retinopathy, macular diseases, etc. ), and eyelid anomalies. Neurology has undergone a transformation in the last few decades, making substantial progress in knowledge of extremely complex diseases such as strokes, headaches, epilepsy, and neurodegenerative or neuromuscular diseases. This has resulted in a significant increase in therapy options, both in terms of drugs and surgical or minimally invasive procedures. Our hospital offers complete multi-disciplinary and up-to-date care thanks to the collaboration of different professionals with extensive training and the availability of technological advances considered essential for correct diagnosis and management of neurological diseases. Neurovascular Unit: Management of strokes or cerebral infarctions, transient ischemic attacks and cerebral haemorrhages. Availability of a study via supra-aortic trunk and transcranial ultrasounds in order to control the evolution and quantify the risk of cerebrovascular conditions. Headaches Unit: This area manages different types of headaches and facial pain, including migraines, tension headaches, trigeminal neuralgia, one sided headaches (headache due to coughing, hypnic headache, thunderclap headache), trigeminal autonomic cephalgia, and secondary headaches (post-traumatic, changes in the intracranial pressure). Diagnosis via temporal arteritis Doppler. We offer treatment like botulinum toxin (Botox) for chronic migraines and occipital nerve block or neurostimulation devices in refractory cases. Epilepsy Unit: Study of epileptic syndromes in children and adults using standard video-EEG recording and with sleep deprivation. Expansion of structural and al neuroimaging tests. Assessment of drug-resistant patients using prolonged video-EEG monitoring. Invasive recording in ed cases. Functional epilepsy surgery in operable cases. Application of brain stimulators in non-operable patients. Movement Disorders Unit: Assessment, clinical diagnosis and using neuroimaging techniques (including transcranial ultrasonography) and Parkinson’s disease treatment. Treatment for primary and secondary dystonia and spasticity with botulinum toxin. Memory Unit: Management of patients with cognitive alterations, mainly dementia caused by Alzheimer’s diseases, frontotemporal dementia, multiple system atrophy, Lewy body disease, corticobasal degeneration, and vascular dementia. Assessment of patients with subjective memory complaints using clinical neurologic examination, neuropsychology, neuroimaging tests (including volumetry and Amyloid PET studies), and cerebrospinal fluid analysis to detect the proteins that cause Alzheimer’s disease. Application of research projects and ocular vergence studies to diagnose Alzheimer’s disease. Advice about cognitive stimulation exercises adapted to the patient’s level of deterioration. Neuromuscular Diseases Unit: This area covers peripheral nervous system diseases, the neuromuscular junction, and muscular diseases. These myasthenia gravis, muscular dystrophy, muscular inflammation diseases, peripheral neuropathy, and amyotrophic lateral sclerosis. Availability of electroneuronography (ENoG) and electromyography (EMG) to assess nerve and muscular dys. Tests to detect the antibodies that cause certain peripheral diseases. Availability of median nerve Doppler to assess carpel tunnel syndrome. Neurosurgery is one of the surgical specialities that has experienced the greatest development due to significant technological advances in recent years. These advances may be grouped into three large categories: before surgery, during surgery and after surgery. At cranial level we have technological tools that help us to perform brain tumour surgery such as the Tractography (3D representation of subcortical structures), Functional MRI, Transcranial magnetic stimulation, etc. At spine level we have a study of the structures of the spine and forecast of the levels that the patient will need in terms of surgery, electromyography to assess viability of the nerves, somatosensory evoked potential to assess the spinal cord, bone PET, assessment of whether pseudoarthrosis is present, etc. Minimally invasive approaches at spine level: In recent years there have been many changes in this sub-speciality of Neurosurgery aimed at perfecting approaches and avoiding the classic posterior approach due to the affectation it causes the paraspinal muscles. In this respect, both ALIF; anterior lumbar approach (particularly apt for young patients in order to fit a prosthetic disc, and XLIF; lateral approach to achieve fusions or even a vertebral corpectomy without affecting the posterior elements, and percutaneous spine surgery (using minimum incisions) are innovative techniques that are becoming increasingly important. These approaches a high level of specialisation, training and technology. At cranial level it allows us to achieve greater tumour resections with fewer neurological complications. One of the most significant technological advances is brain mapping (localisation of eloquent areas of the brain in surgery with the patient awake or asleep). At spine level it eases liberation of nerve structures (spinal cord, nerve roots, etc.) and fitting of fixation system with greater safety. At the hospital we want to look after women’s health in every stage of their life. That is why we have developed pioneering units and specialised services that guarantee complete care in every one of these stages: Teen Gynaecology, Gynaecology, Your child delivery, Assisted Reproduction, and Cancer in women. To provide the care your health deserves, we boast state-of-the-art medical technology and the latest diagnostic tests for advanced, precise treatments and diagnoses that adapt to each need. We can also offer you video consultation service: Connect with a doctor from any, anytime, whether you need an initial consultation or you want to share the results of diagnostic tests with a physician. Find out about the other specialities here.